From my experience, remixing or collaborative processes work both ways, a creative feedback loop. Firstly, the original artist is presented with a juxtaposition of material they had first conceived, an abstraction of an abstraction. Secondly, for the 're-mixer', by using material and sounds that are not common in, compositional terms, this brings about new ideas into your own music. The material I was presented with was mostly drones and static material. Through pitch manipulation and filtering, I transformed the material and added various subtle rhythmic and melodic elements, while keeping the original material still within the foreground. 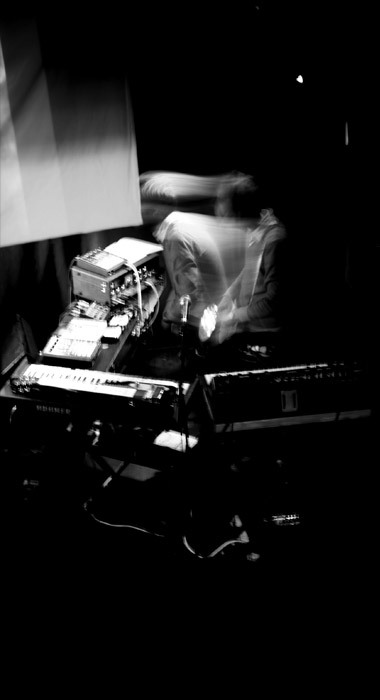 Somadrone is Irish Composer / Musician Neil O Connor, now based in San Francisco, California. Neil has studied with Roger Doyle, Jurgen Simpson and completed his PhD in Composition (specializing in graphical notation) with Donnacha Dennehy at Trinity College Dublin in 2010. He recently released the fourth Somadrone album 'Depth of Field' on Skinny Wolves records. Other recent projects include a featuring on Wire Magazine's Wire Tapper CD and residencies at the Institute of Electro-Acoustic Music, Stockholm and CNMAT, Center for New Music and Audio Technologies, University of Berkeley, California.